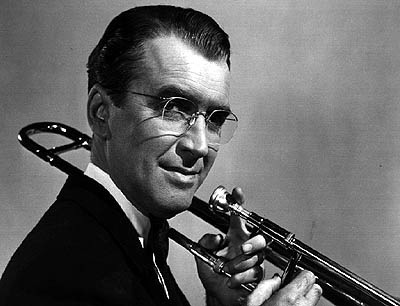 Jimmy Stewart: The Glenn Miller Story (1954) – Did You See That One? Anthony Mann and Jimmy Stewart worked together a number of times over the course of their careers. This collaboration started with Winchester ’73 and continued with films like The Naked Spur and Thunder Bay. Each of those films carried a story of adventure and risks of a physical nature. This time the two paired up for a different kind of film.The Glenn Miller Story is a biographical film made ten years after Glenn Miller had died. This movie stars Stewart alongside June Allyson, Harry Morgan, and Charles Drake. 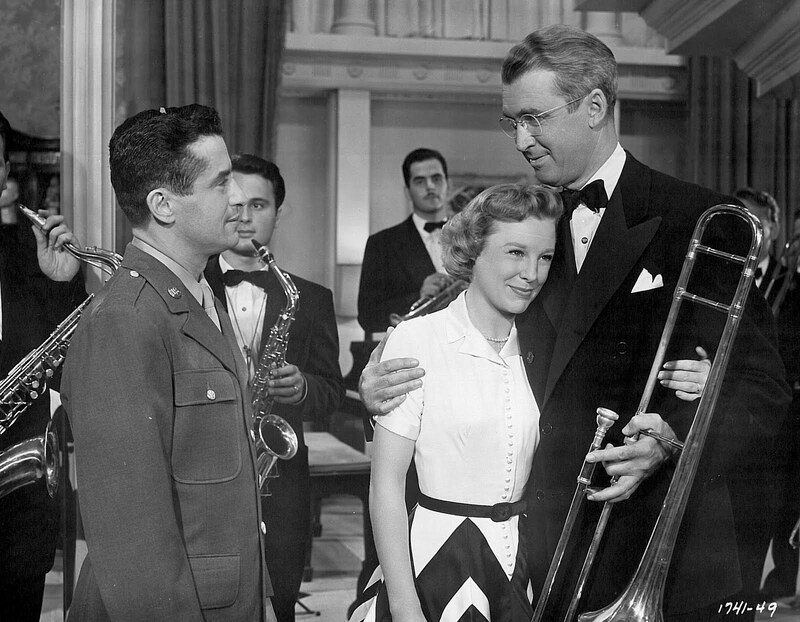 June Allyson was a familiar face in the movies of Jimmy Stewart. She would be featured alongside him in The Stratton Story and Strategic Air Command. She was also well-known for her role in the 1949 version of Little Women. Harry Morgan also spent some time on the screen with Jimmy Stewart. The M.A.S.H. star was featured in Thunder Bay, Strategic Air Command, and Bend of the River. Morgan had a long career with a number of memorable roles including Dragnet 1967 and High Noon. Charles Drake was another name found in several of Stewart’s movies. These titles include Harvey and Winchester ’73. Drake would also have roles in movies like Gunsmoke (1953) and It Came From Outer Space. 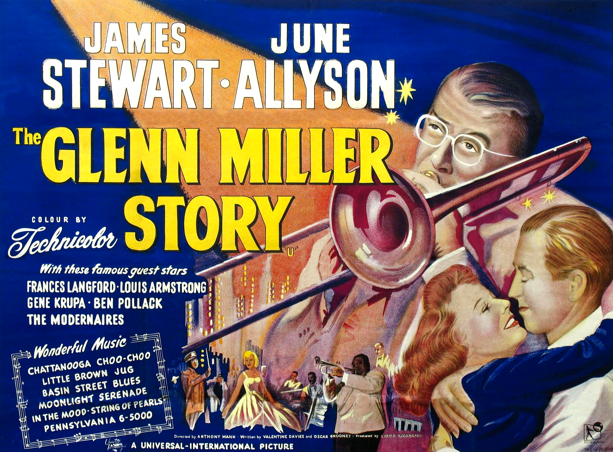 Glenn Miller (Stewart) is a musician with a dream. As he takes on jobs playing for other band leaders he’s really searching for something special, a sound of his own. Through good luck he finds himself surrounded by some of the great musicians of his time. With each failure he comes a bit closer to the right combination. Along the way he marries his college sweetheart Helen (Allyson), a woman who is willing to follow him anywhere. He’s also got his faithful band mate Chummy (Morgan) and his manager Don Haynes (Drake). When he finally finds the right sound he finds the success he’s long desired. When the war in Europe begins Miller looks for his place in the military effort. Ultimately this would be the step that found Miller his place in history. This film was wildly successful upon its release, earning an Oscar for Best Sound. The film also had two other nominations and multiple other awards. The movie also featured a number of cameo appearances which lent themselves to the authenticity of the movie. This included performances by Frances Langford, Ben Pollock, Gene Krupa, and a huge list of other stars. 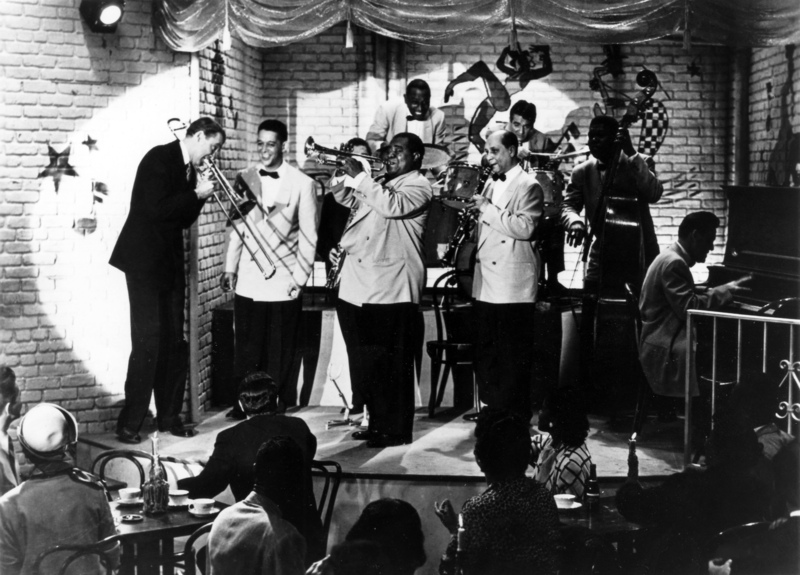 One of the highlights of the film is the performance of Louis Armstrong, who played and sang wonderfully. The film also featured great performances by all of the actors involved. Stewart and Allyson paired up wonderfully on the screen. The chemistry between the two is obvious and it makes the relationship feel real. Harry Morgan is also great in the movie. The movie is sentimental, but avoids being overly emotional. Instead the movie relies on the music as the driving force of the story. From Moonlight Serenade to String of Pearls the song choices are wonderful, adding to the feel of the movie. Another of the great choices of the film makers was to have Chummy MacGregor serve as a technical adviser to the film. He had been the pianist for the Glenn Miller band. The movie is also well filmed and directed. Attention to detail is also obvious as they film travels through the years of Miller’s life. From the cars to the clothing the movie strives to remain authentic. For Stewart this film was a personal success, he won a BAFTA Award for Best Foreign Actor for his role in the movie. This year would also mark other successes for him with the release of Rear Window and The Far Country, another Anthony Mann picture. This was another of the great films that would come from the Jimmy Stewart partnership with Anthony Mann. This was the fourth of eight films they would make together, ending with Strategic Air Command in 1955. Pingback: Jimmy Stewart: Strategic Air Command (1955) | Did You See That One? 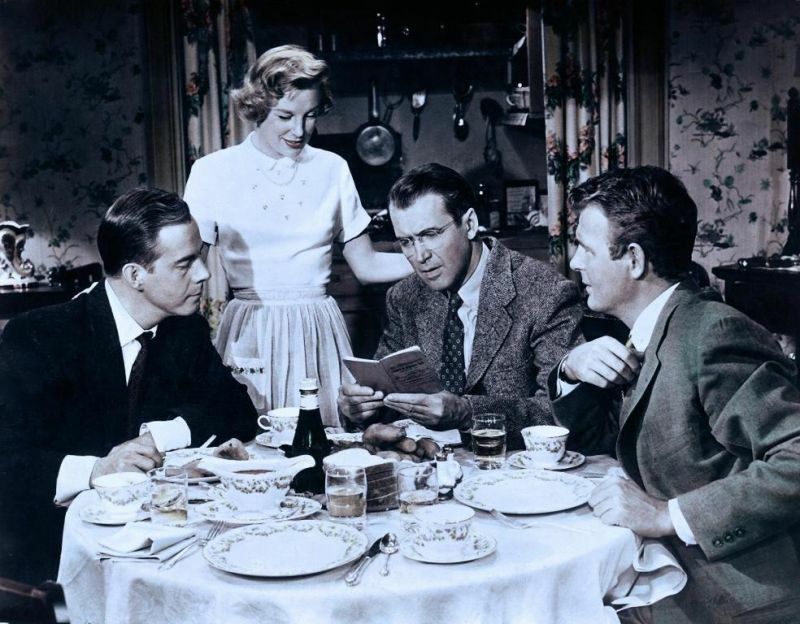 Pingback: Jimmy Stewart: The Far Country | Did You See That One?